This floral wreath was part of a set of designs acquired by Antioch Bookplate Company from the Etchcraft Company. It was first printed in the 1960s. 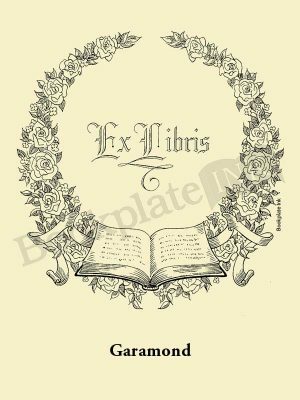 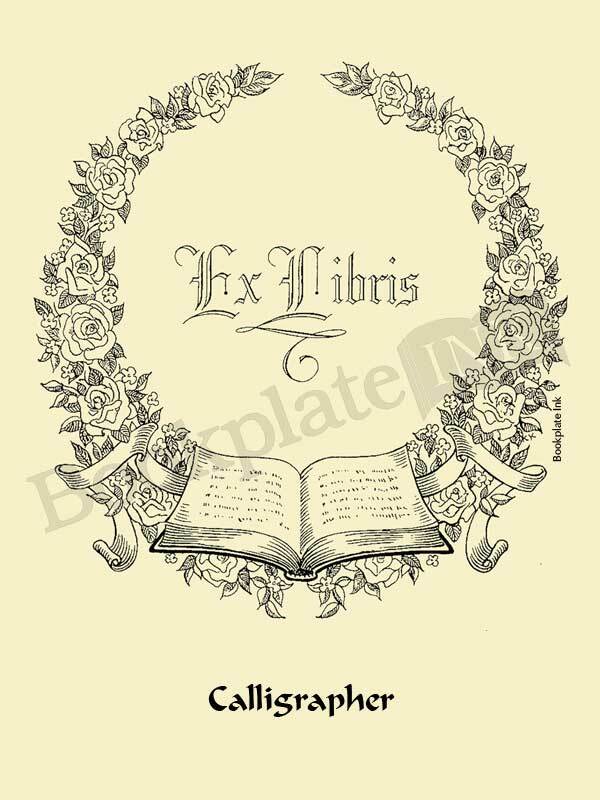 The “ex libris” text means “from the library of.” There is enough room for three lines of text, if needed.